Solid Rock Community Church is excited to announce the re-launch of our women's ministry program. The Core Team is made up of Suzy Hillegas, Jan Sundberg, Emily Roth, Jamie Laurence, Cathy McBroom, Shari Roth, and Joyce Harris. We are dedicated to praying for you and brainstorming. If you ever have a need, please feel free to pull one of us aside, or call us, or email us, or message us. "Woman-to-Woman is all about connecting with one another, praying for each other, giving and getting advice for the different stages of our lives. The Woman-to-Woman group is a safe place to post prayer requests, crazy stories of the day and so much more. So we invite you to chat away and we look forward to building relationships at our events, on coffee dates, and in this Facebook group and so many other places. 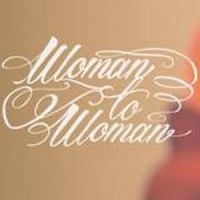 Woman-to-Woman is a ministry of Solid Rock Community Church. * Only ladies of the SRCC community can see the posts." This FaceBook group is going to be the main way we get information out to you. If you have not been invited into the group please email Suzy Hillegas at suzannes232@gmail.com and she will send you the necessary invite to be a part of the group. Our next big event is January 23, 2015. Dare to Be in Federal Way. We are very excited. You can purchase tickets Sunday morning at the Guest Services Table or go to the church website and under the donate tab select "Other". The event is $20. Tickets will be purchased December 1, so you have a few weeks. This is a one time email, we will be doing the majority of our communication through the Woman to Woman FaceBook page, and occasionally in the bulletin and announcements. Have a blessed day and we look forward to connecting!